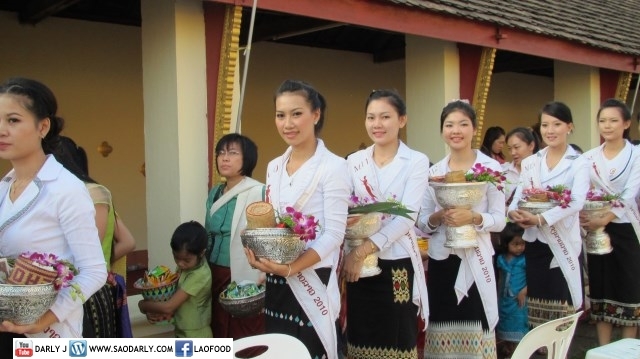 By chance I ran into Miss Laos 2010 Contestants at That Luang Festival on the day of the Morning Almsgiving. 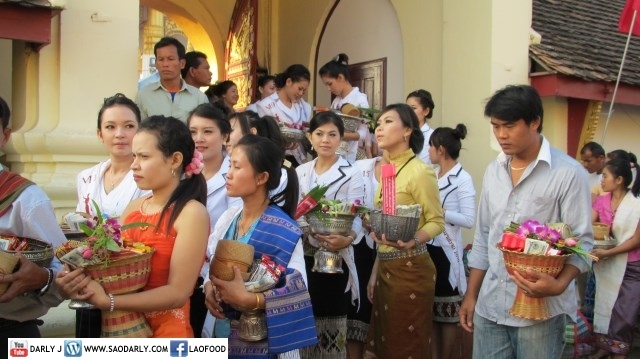 I was about to leave via the side door on the right when the gate was unlocked and the people were allowed to come in and saw beautiful girls dressed in white tops and black Lao sinh. 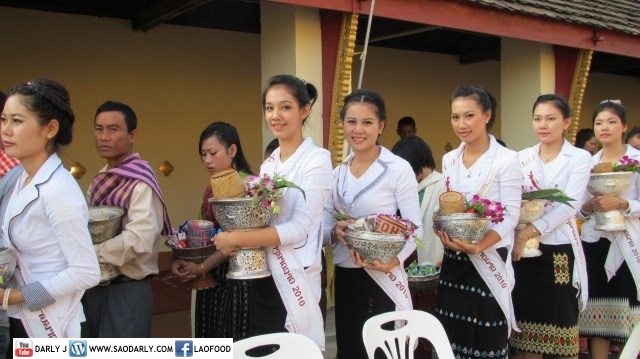 I had totally forgot about the pageant before I went to Laos and it took me a few minutes to recognized who they were. 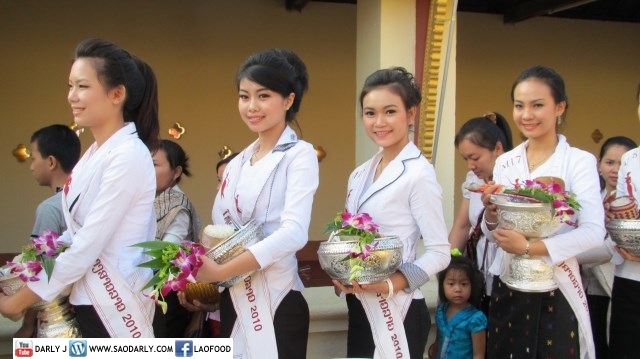 These ladies were kind and courteous and smiled at the cameras and took their time to take photos with the public. Then I went out the door to check out the new four-lane road to That Luang square. 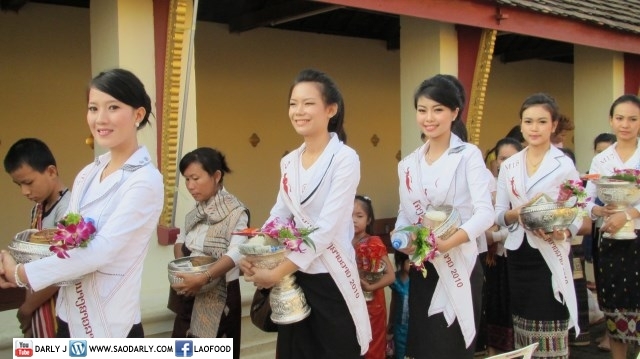 It must have been fate when I later came back through the opposite gate, I ran into the Miss Laos Contestants again as they were giving alms to the monks. Then when I went to look for something to eat at the same spot I ate in 2008, the beauty pageant contestants were there also. Of course, they were not moving any faster when a hoard of people wanting to capture that “Kodak moment” with them. The ladies were polite and didn’t mind the extra attention being given to them. 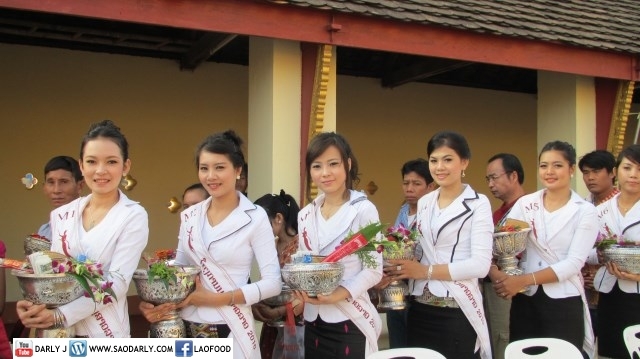 I said a few words to them and wished them the best of luck at the final round of Miss Laos 2010 Beauty Pageant. 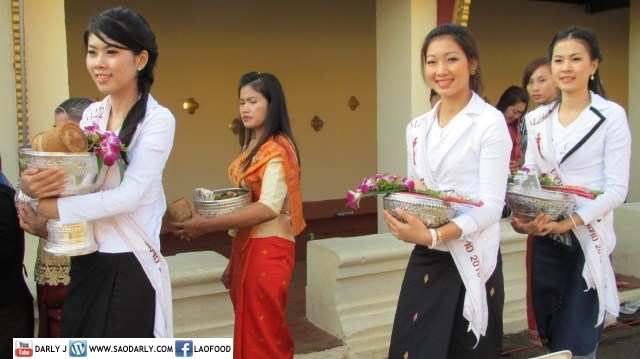 It was a pity that I had to leave a few days before the contest or else I would have been there to witness the crowning of Malaithip Singsahanath as Miss Laos 2010. Thank you for sharing the captures of the contestants. They are all so beautiful. Do you have the whole footage of the contest. You’re welcome, Ney Ney. 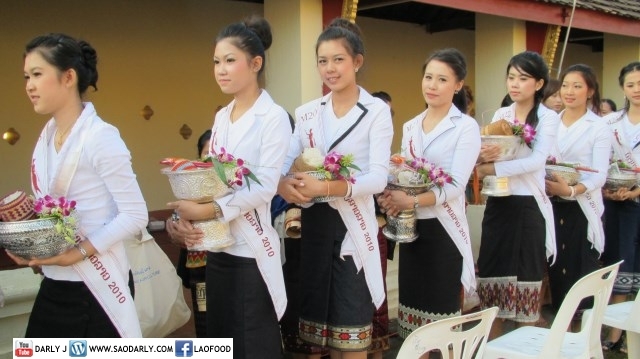 Please see Miss Laos 2010 Beauty Pageant post at Lao Voices for the coverage of the contest.